Cuba is a wonderful destination for those wishing to see butterflies. The island is very safe compared to many places in the world and has no malaria or poisonous snakes. The people are happy and friendly, and even package holidays there are remarkably cheap and good value. 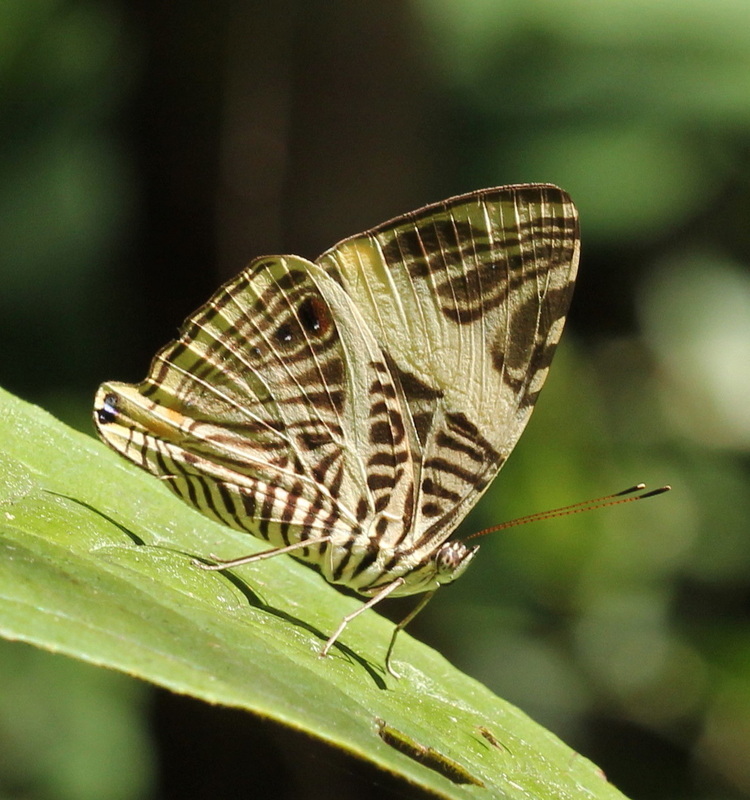 With little intensive agriculture, beautiful unspoilt scenery and much warm sunny weather Cuba provides the conditions butterflies and moths need. It is the largest island in the Caribbean and the 17th largest island in the world at 780 miles long from west to east. The Sierra Maestra mountains in the south-east reach a peak of 1974m. Other parts of the island are an interesting mix of rolling plains, densely wooded hills, and unique geological features like the Vinales valley. Numerous islands or cays lie off-shore. Off the south-west coast is the largest of these islands, Isla de la Juventud, previously known as the Isle of Pines until it was renamed in 1978. To the north of Cuba lies the United States (150 km or 93 miles away). The Bahamas and the Turks and Caicos Islands are to the north-east, Mexico is to the west (210 km or 130 miles away), the Cayman Islands and Jamaica are to the south and Hispaniola (Haiti and the Dominican Republic) are to the southeast. Cuba has a population of just over 11 million, albeit with a much lower population density than most nations in the region. It is a multi-ethnic country whose people, culture and customs are from diverse origins, including the aboriginal Taino and Ciboney peoples, the long period of Spanish colonialism, the introduction of African slaves, a close relationship with the Soviet Union during the Cold War, and proximity to the United States. Cuba ranks high in the fields of education and medicine and was the only nation in the world in 2006 that met the World Wide Fund for Nature's definition of sustainable development. 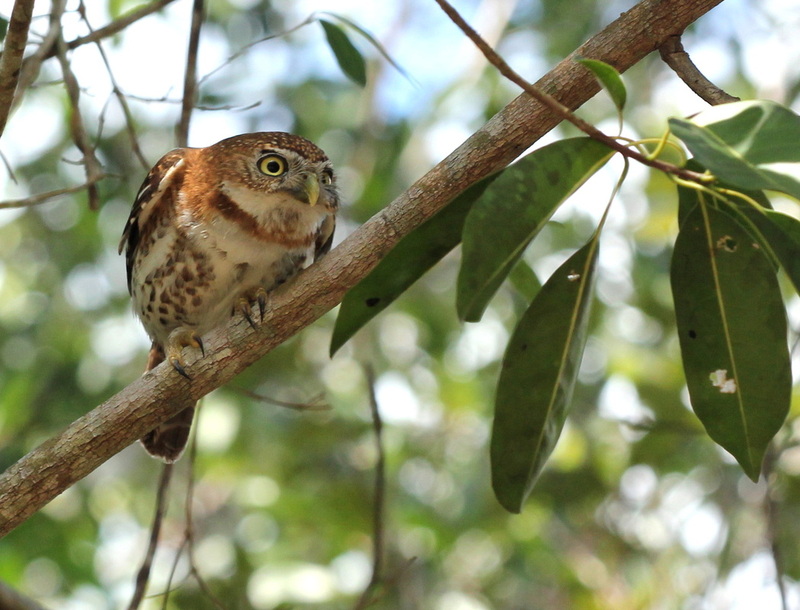 Good news for Cuban wildlife! The climate is described as tropical, with an average temperature of 21°C (69.8°F) in January and 27°C (80.6°F) in July. There is a drier season from November to April, and a rainier season from May to October. The country is prone to hurricanes which are most common in September and October. Although not as rich in Lepidoptera as many South American countries Cuba has nonetheless much of interest. 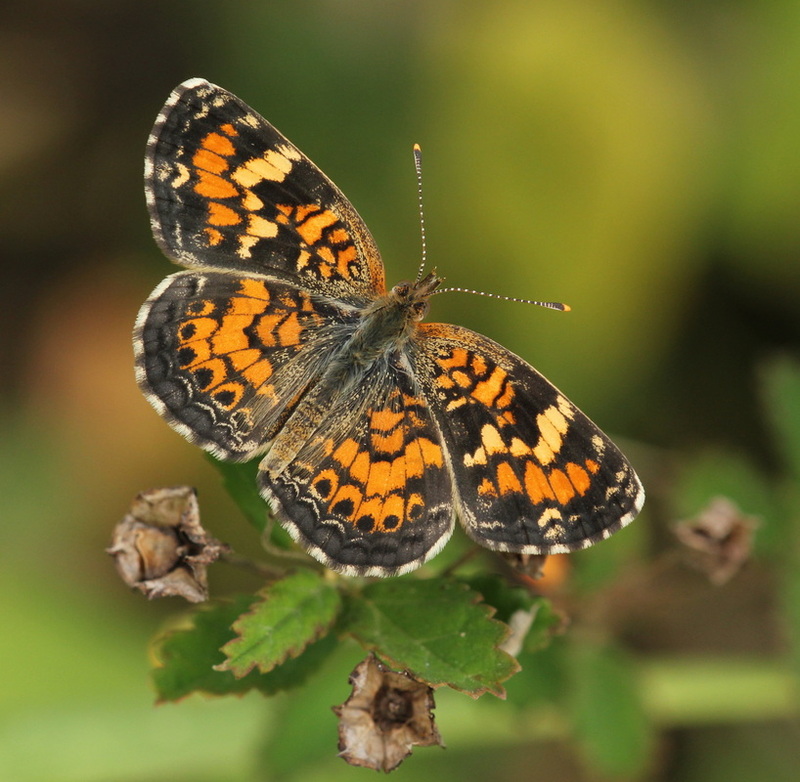 196 butterfly species have been recorded on the island although fifteen of these have been only as strays and most of them not for a long time. Of the 182 species that are believed to be resident, 36 are endemic to Cuba and a further 35 have endemic subspecies found only in Cuba. To whet the appetite there are 13 resident Swallowtails and 55 Skipper species to keep you busy. The purpose of this website is to stimulate further interest in the Lepidoptera of the islands and to encourage people to go there for a wonderful wildlife holiday. These pages provide a guide to what you might find when you go and to assist you to identify what you see when you are there. It will provide information on their life histories and identification tips to identify the trickier species. If you have good quality photographs of butterflies taken in Cuba and would like to contribute to these pages then please get in touch. Contribute. There is still much to discover and for some species even basic ecological information like the foodplants used remains unknown. Some others have not been seen for some years. Much good work on this subject is being done by Cuban entomologist Rayner Núñez Águila and his colleagues at the Instituto de Ecología y Sistemática, Habana resulting in several new species being added to the Cuban list in the last few years including four Calisto species that were previously undescribed! 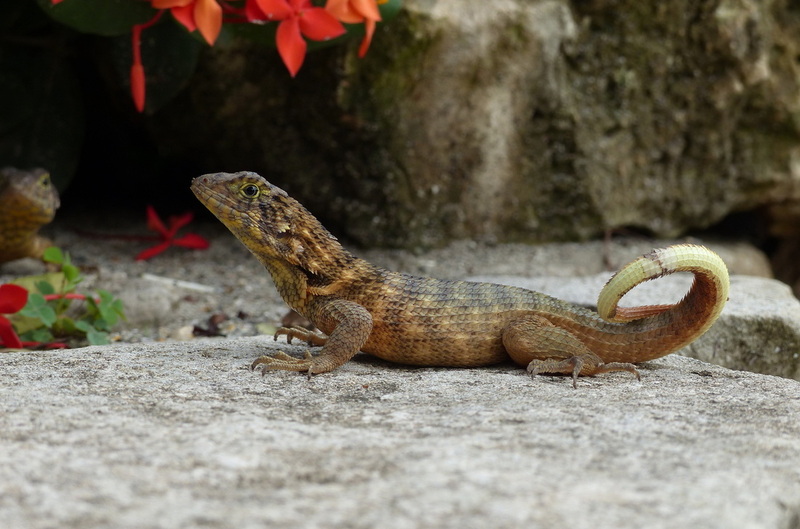 Douglas Fernández from Camagüey Province is also making great strides in discovering the life cycles of many species for which this is poorly known. 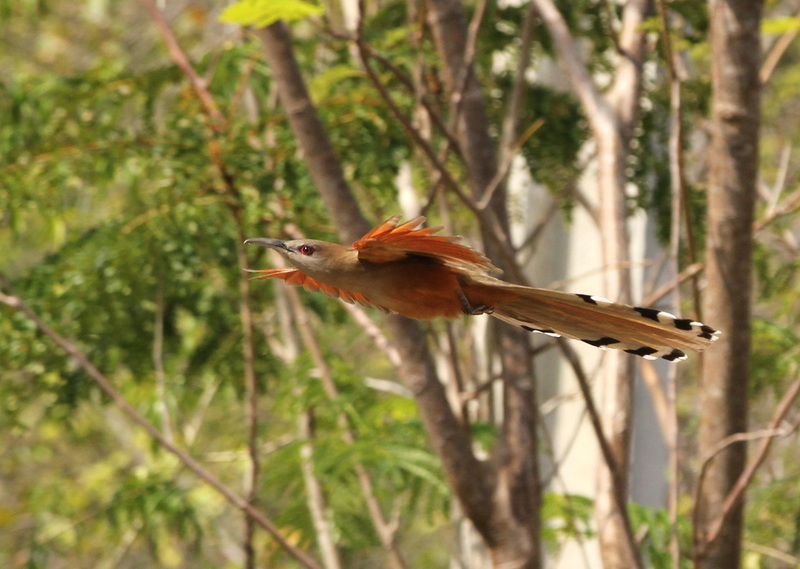 Over 350 species of birds have been recorded in Cuba. 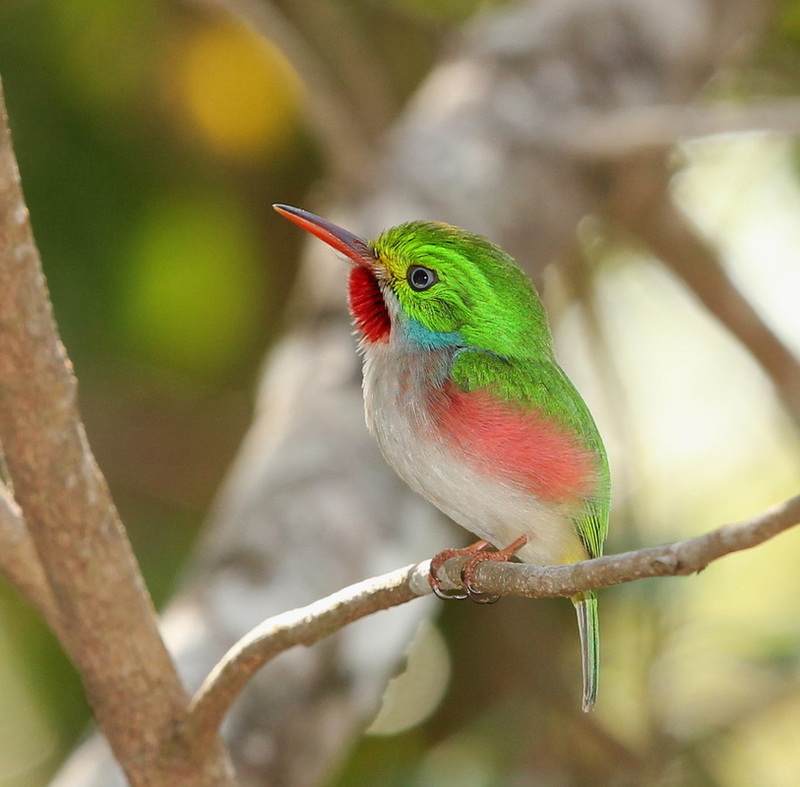 Amongst these are 30 endemics found nowhere else in the world and include iconic birds like the Cuban Tody, Cuban Trogon and the Bee Hummingbird, the smallest bird in the world. About 150 species are resident on the island, some are wanderers that only occasionally reach Cuba and the remainder are regular migrants from North America that travel south to escape the harsh winters further north. Many of these winter in Cuba itself while others are seen mainly on spring and autumn migration from wintering grounds in South America. Amongst the list of mammals on the island are 16 further endemics comprising 10 Jutías (a type of rodent), two cave rats and four bats. The West Indian manatee (Trichechus manatus) is considered common in near-shore waters. The scuba diving on the extensive coral reefs is said to be very good though we haven’t tried it. The best period for diving is said to be November – April. But it is the reptiles and amphibians where the variety is mind-boggling with 132 endemic reptiles and 63 endemic amphibians alone. Even around the hotels there can be many attractive photo opportunities.